Selecting where to live later in retirement is a big decision that involves one new major consideration: our health care. This is because as you age, healthcare becomes more integrated in your housing decisions, whether it is moving to a one-story home, having home modifications done by a firm such as Home Ideations, or moving to a continuing care retirement community (CCRC). When making these housing decisions, you face tremendous uncertainty because you don't know how long you will live, how much care you will need, what type of care you will need, or how your medical decline will unfold. The big question is: Will you make the last housing decision on your own and ahead of time; or will you have a non-choice thrust upon you when a health crisis occurs? When I ask clients how they see their living situations unfolding in their later years, I generally hear they either want to remain in their beloved home as long as possible, or move into a Continuing Care Retirement Community (CCRC). When you hear the phrase "retirement community," what do you visualize? Do you see the nursing home your elderly parents or grandparents were in? Are residents staring at a TV and eating from cafeteria-style trays? Perhaps you see residents sitting around all day with bingo as the only activity. If this is what you imagine, then I would recommend you take a closer look. These misconceptions are dead wrong. When we discuss these choices, I frequently find misconceptions revolving around CCRCs with the primary one being that a CCRC is nothing more than a nursing home. However, it is important to clear up this misconception in order to make good, informed decisions. CCRCs are NOT nursing homes! 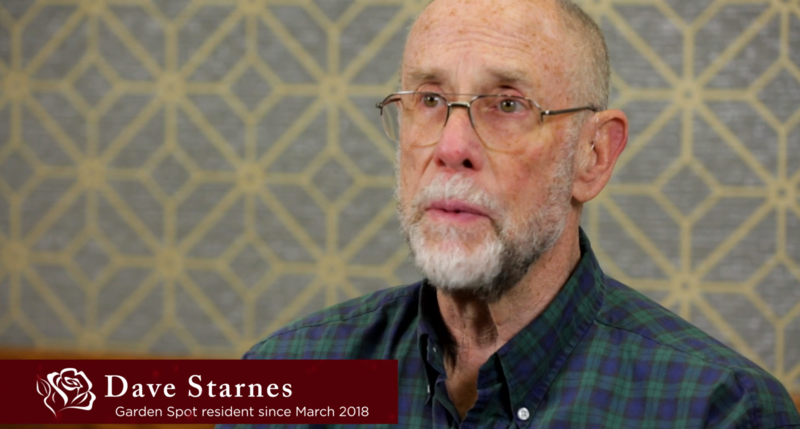 Certainly CCRCs provide medical and living arrangements as residents age and require different services, but it is important to see that is not the only side to a CCRC. Most residents start in their new community living independently in a spacious town home or stand-alone residence. They are physically active, social, independent, still traveling, and visiting family. They are involved in community volunteer activities, continuing education, entertainment, travel, and dining out. Those who choose to move to a CCRC also recognize the importance of having access to the full array of care services as they age. They recognize circumstances change quickly and unexpectedly, and they want to have the peace of mind of having access to the care they will need within their own community. They also don't want to be a burden on their family if and when that day comes. I asked my father what he felt were some of the unrecognized values to moving to a CCRC. He said, "First is financial security and release from anxiety about an unpredictable and unexpected event - because most CCRC's will take care of you - even if you run out of money. You and your children or extended family will not have to worry about the cost or coordination of your future care as you age. Second is the social environment. You are surrounded by people with similar interests and challenges. Third is access to health preservation - organized activities, exercise rooms, and discussions that get you out of the recliner and away from the TV." I also asked if he would have done anything differently. He suggested that "an important consideration is making the decision and moving early rather later. Moving early gets you the opportunity to enjoy the benefits of the new environment while you are still active and healthy. In addition, most CCRCs have a significant "buy in" cost. Early joining allows you to amortize this cost over a longer period. Also, most CCRCs have a significant wait list - two or more years is typical. If you wait until you really need to move, it will be too late." A retirement community like a CCRC may not be the right choice for everyone. However, I think everyone should at least consider it as an option while they are still healthy, and then make an informed decision stripped of the common misconceptions.